Bells of Peace marks the occasion 100 years ago, when church bells across Canada rang out to share the news: the First World War was over. As the sun goes down, a bell or bells will be rung 100 times at community locations across the country to honour the sacrifices of Canadians who served in the 1914-1918 War, and to remembers the horrors of war, the costs to society, and the promise of peace. As bells toll to remember the 650,000 who served, close to 66,000 killed, and more than 172,000 wounded, many communities will also commemorate the local people and events that link their community to the Great War. A soundwave of bells across the nation will help tell a historical journey of Canada's service and sacrifice during the First World War. Leading up to Remembrance Day, Bells of Peace will engage youth by encouraging school-aged children to research Canadian First World War Veterans and honour them by placing a Canadian flag on their grave sites. 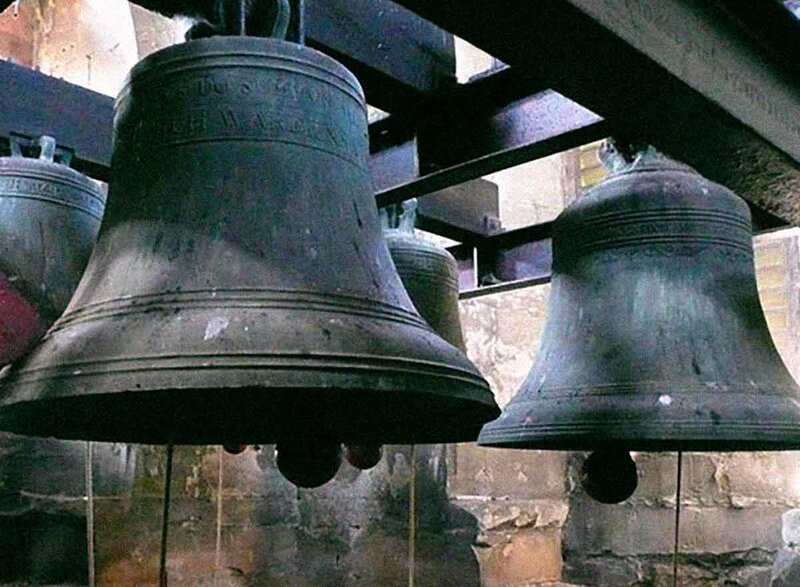 Canadians can share in the Bells of Peace story by sharing their photos and videos on social media, using the hashtags #100Bells and #100Cloches. The Bells of Peace initiative was developed by The Royal Canadian Legion, in partnership with the Government of Canada. Legion Branches from coast to coast to coast are working with local organizations and schools to bring this commemorative initiative to your area. Contact your Legion Branch for more information. The Armistice 100 yeg Committee is supporting this initiative that is spearheaded by The Royal Canadian Legion.